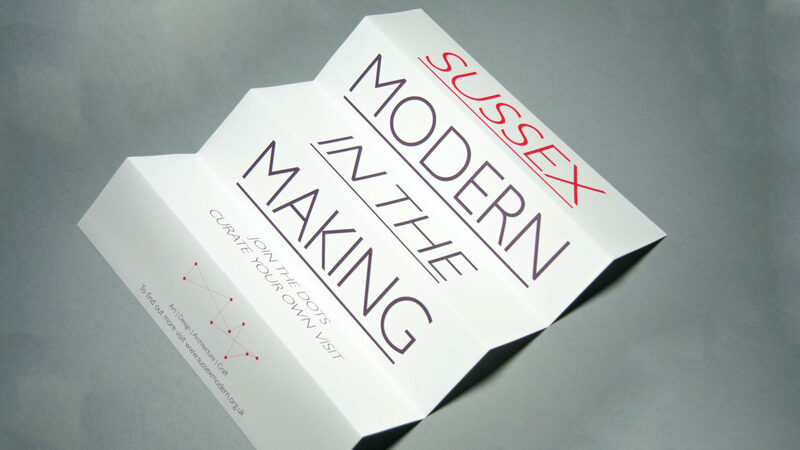 Sussex Modern is a partnership of nine galleries and museums across Sussex. 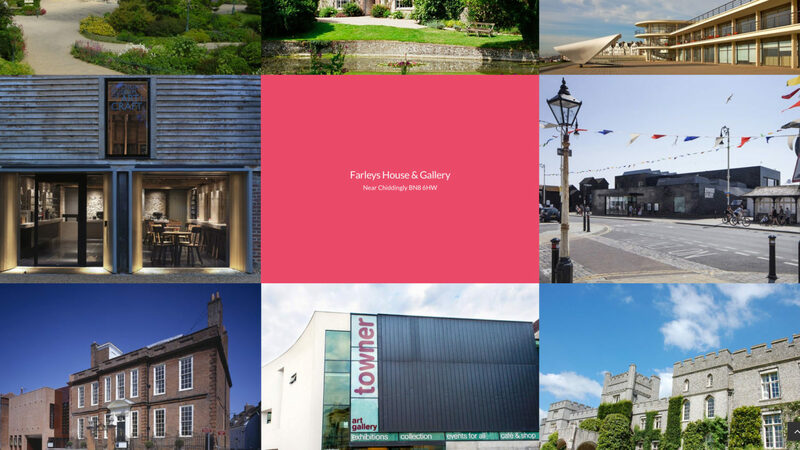 Each extraordinary space has a special connection to recent British thought and creativity – ideas that have helped shaped our modern world. The initiative needed to tell a story that had not been previously told in a coherent way. 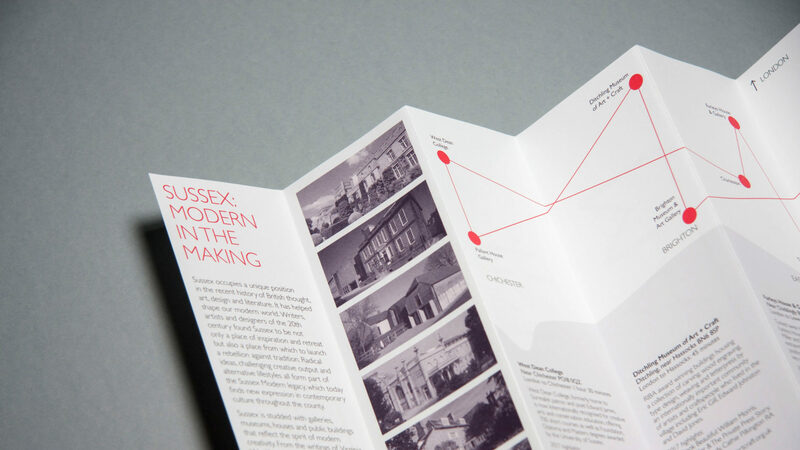 Under the title ‘Sussex: Modern in the Making’ we were able to create a supporting narrative that encourages visitors to ‘curate [their] own visit’ and explore the interconnected network of galleries and museums. 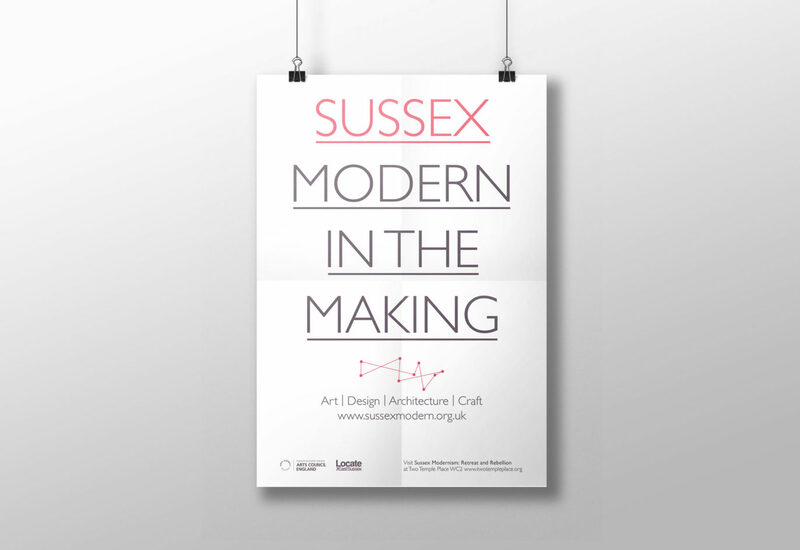 The campaign offers an invitation to explore Sussex from a new perspective, to visit stimulating and different locations and to experience the spirit of modern creativity in art, design, architecture and craft. 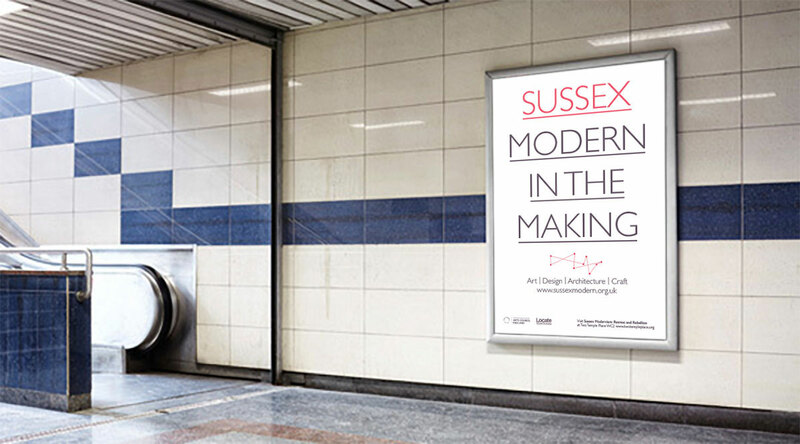 The campaign offers an invitation to explore Sussex from a new perspective, to visit stimulating and different locations and to experience the spirit of modern creativity in art, design, architecture and craft. 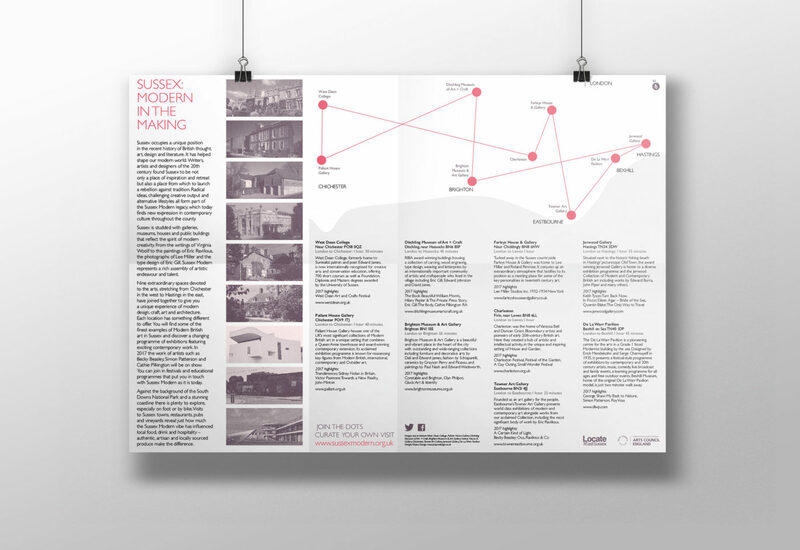 Writing a narrative and creating a fresh language to engage new audiences became the basis for designing a brochure, posters and website – the initial components in a developing campaign.